Over the past few months, we’ve been sharing some of the amazingly comfortable Nature’s Sleep memory foam products – from the comfortable Nature’s Sleep Tobago Mattress to my new favorite pillow, the Vitex 2 Memory Foam pillow. But the comfort doesn’t stop there. There’s a new pillow available from Nature’s Sleep that takes memory foam pillows to the next level – the Vitex Gel Memory Foam Pillow. The Vitex Gel Memory Foam Pillow is Nature’s Sleep newest revolutionary pillow with the perfect marriage of coolness and comfort. Offering a combination of Memory Foam and a Gel Layer, this pillow will keep you sleeping throughout the night at a comfortable temperature and perfect support in preparation for you to wake up refreshed and energized the next day. It is available in a Queen size which is firm but with a gentle and cool feel. 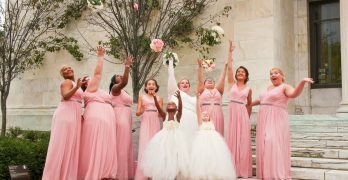 The cotton cover is removable and washable and retails at 195.00. For the month of October you can use the coupon code: GEL60 to get 60% off with FREE SHIPPING! I’ve tried gel pillows before, and the coolness from gel pillows is great for people that sleep on the warmer side. Combine that with the comfortable support of Nature’s Sleep memory foam and you have a pillow that is soft, cooling, while still providing support for your head and neck. I think the Vitex Gel Memory Foam Pillow is the next pillow on my “try this” list. If you’re in the market for a better night’s sleep, check out the Vitex Gel Memory Foam Pillow today! 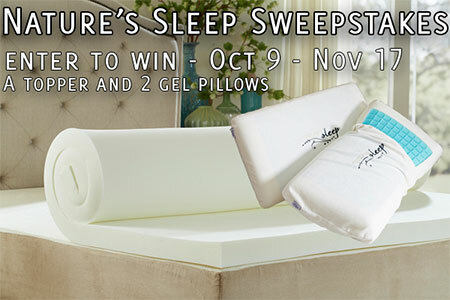 One US winner will receive a topper their choice of size and two memory foam pillows. Enter on the Giveaway Tools form below! Looks so comfy and thanks for the chance. I’ve been trying to leave my comment on http://www.aroundmyfamilytable.com/2013/09/chicken-noodle-soups/, bu it just won’t let me. I took that entry in the RC form, so in order not to be disqualified I’m just gonna leave my comment here: “Would love to be lying there instead of the kitty! :p”. I hope it counts.